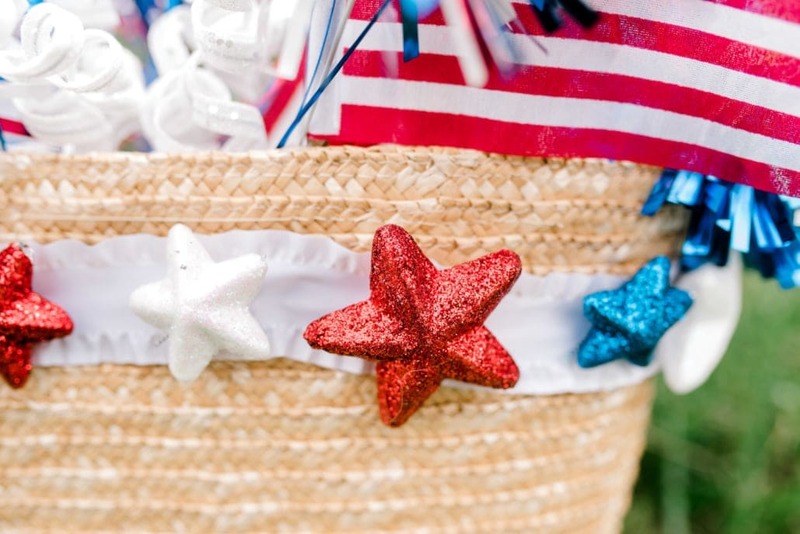 For this simple DIY, we use a regular beach bag as a base for our patriotic presentation of fireworks and decor! Whether you are limited on space and looking to make the most BANG in a small bag, or you just adore outside the box ideas, this beach bag BOOM can work its magic for you! 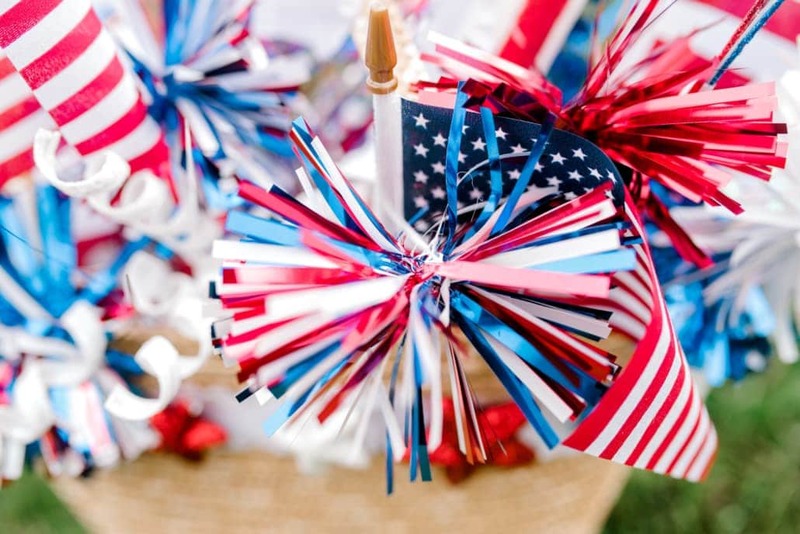 Simply gather up some theme-related pieces: flags, fireworks (real or decorative, whatever you have on hand! 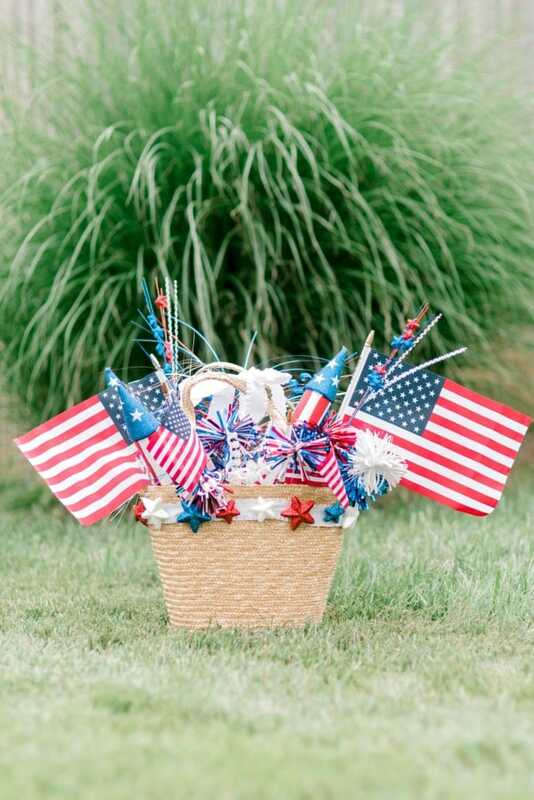 ), pinwheels, colored flowers,.. seriously a hod podge of items in varying heights and sizes will look awesome. You could even attach some balloons to your bag handles! Truly, the sky is the limit and there is not a particular list of supplies you must follow. I’m interested to know what unique items you toss in your bag! Birthday Bag with balloons and streamers, Pool Party Bag (anyone else envisioning pink flamingos?! ), Christmas at the Beach Bag,… The possibilities are endless! 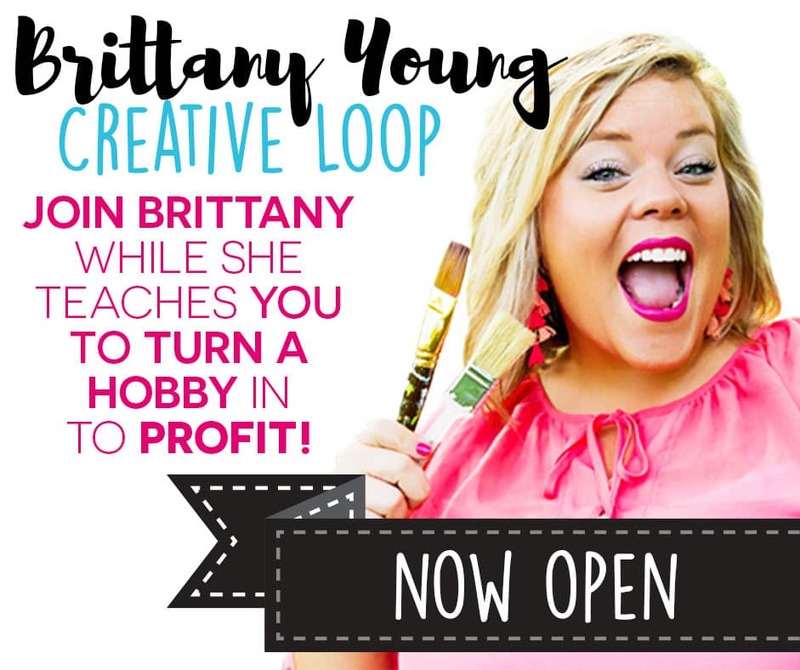 Need more step-by-step direction? Check out the video below! Bring your beach bag!!! Let’s get crafty.